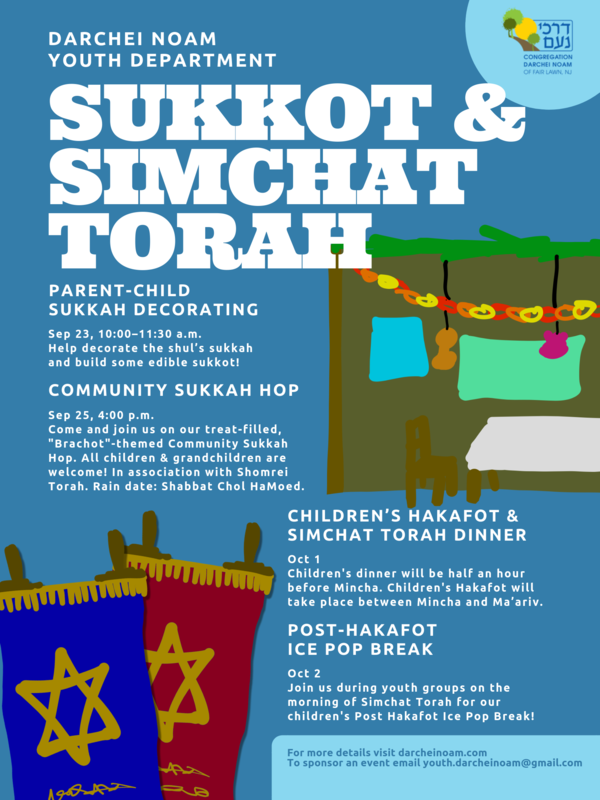 Children’s Hakafot & Simchat Torah Dinner, Oct 1 — Children's dinner will be half an hour before Mincha. Children's Hakafot will take place between Mincha and Ma’ariv. Post-Hakafot Ice Pop Break, Oct 2 — Join us during youth groups for our children's Post Hakafot Ice Pop Break! To sponsor any of the youth events, email the Youth Department at youth.darcheinoam@gmail.com.